Rothco's GI type Y style LC-1 suspenders to easily attached to pistol belts or packs and pouches designed to accept the metal clips. 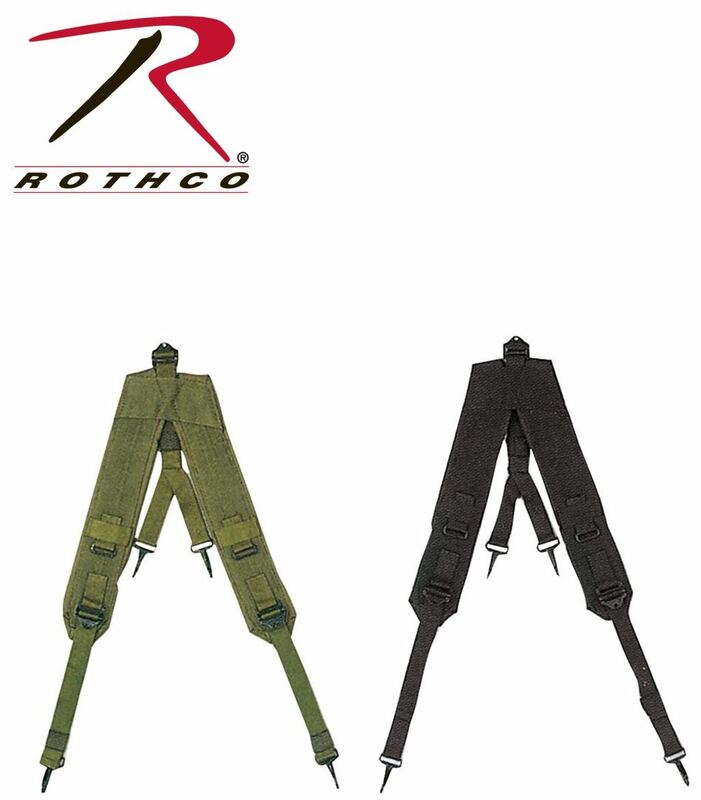 Fully adjustable these Y suspenders are made of polyester and are a copy of the US LC-1 suspenders. Available in olive drab or black.